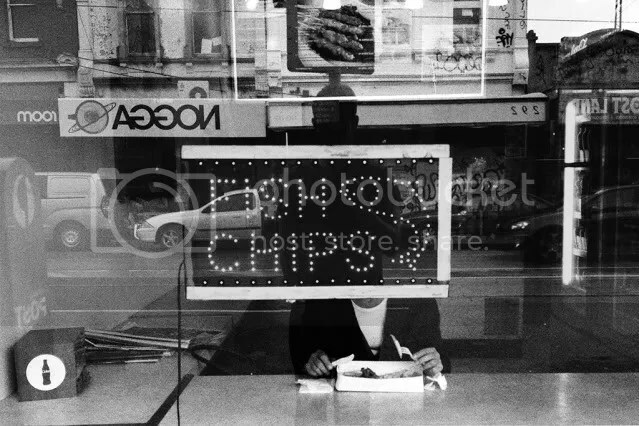 Eric’s Note: This article is written by Misho Baranovic, Melbourne-based street photographer and one of the co-founding members of the Mobile Photo Group. Misho: It’s been over a year since I last posted my ten tips for shooting street photography with an iPhone. Over this time we have seen massive improvements in the quality of the camera and big changes in how images are shared, particularly through the growth of Instagram. No amount of pretty filters will change the quality of the light. If you can, try to shoot during “golden hour” – when the sun has the softest light in the morning or at dawn. Yes, Camera+ has pretty effects. Yes, Camera Awesome pretends to be free (those filters add up). Just download ProCamera! A number of MPG members shoot with ProCamera because of the extra control provided. The following eight tips will help you make the most of the app. 3. Take control of your exposure and focus. 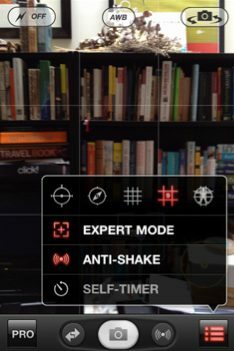 ProCamera’s Expert Mode gives you manual control over both the exposure and focus point of your image. 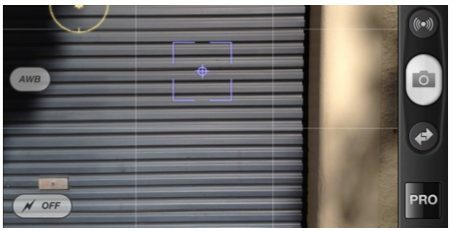 Expert Mode can be found in the menu setting on the bottom left of the ProCamera screen (see image below). Turn on Expert Mode as shown above. 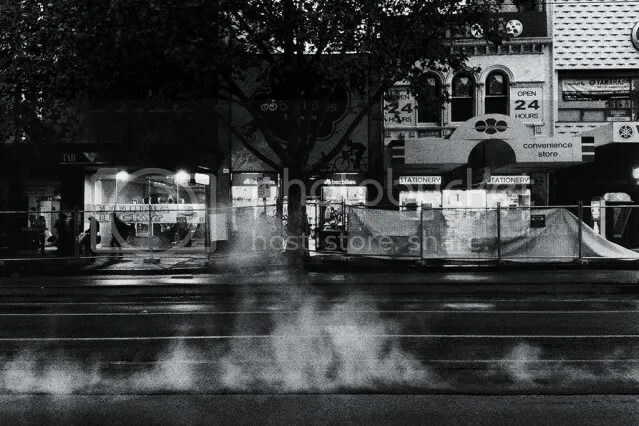 As you can see in the instructional video below from Eric Kim’s street photography workshop in Melbourne, I explain how you can adjust your exposure and focus when shooting street photography. As explained in the video, expose for your subject, play around with where you put your exposure point, and it won’t take long for you to figure out how to get an accurate, balanced exposure on the screen. In the same vein, you can control the focus point by moving around the blue square (see also tip 5). The best part of these two manual controls is that they lock upon release. No more fishing around for tiny little squares like Camera+ and no more unnecessary double clicks like Camera Awesome. 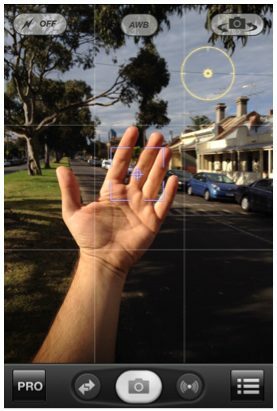 ProCamera lets you intuitively balance both the focus and exposure with one hand while framing the scene. And when you feel comfortable, you can pre-set both and head out shooting, no longer having to adjust on the fly. Which means you can chase the moment, not the app. To learn more about this, check out Koci’s instructional video series iPhone Photography, from Shooting to Storytelling here. Do you know what is the most frustrating thing a mobile shooter faces? It’s seeing the “decisive moment” and then missing it because you couldn’t find the tiny button on the screen pretending to be the shutter. 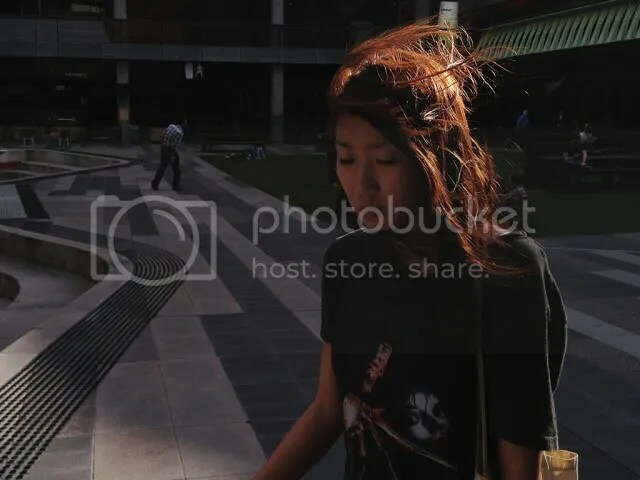 ProCamera lets you set the whole screen of the iPhone as a shutter. Click on the Pro button in the bottom left corner, then click on Settings, go to Fullscreen Trigger and switch it to ‘on’. One tip: try not to press on either the exposure circle and focus square, as this will throw out your settings and you might miss a shot. 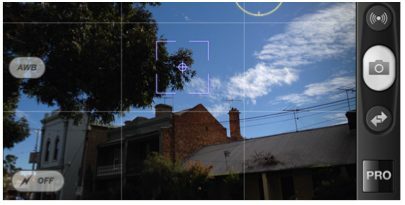 The ProCamera Full Screen setting screen. 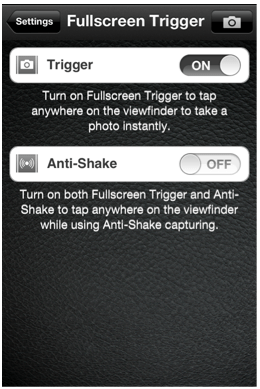 The Anti-Shake setting will turn the full screen button into an Anti-Shake button. This works well for set scenes and landscapes, but not street. You can also use the volume button as a shutter release, but I find it nowhere near as quick as the Full Screen trigger. The other alternative is to use an external shutter button as found on the POPA. MPG members Greg Schmigel and AikBeng Chia have both shot with this device. Why zone focus? Because the iPhone has a fixed f2.4 lens, resulting in a very narrow depth of field when shooting on the street. The first day Olly Lang and myself shot on the streets we were both dismayed that nearly every shot was slightly out of focus. The auto focus could not keep up with the movement of both the subject and shooter. So what did we do? 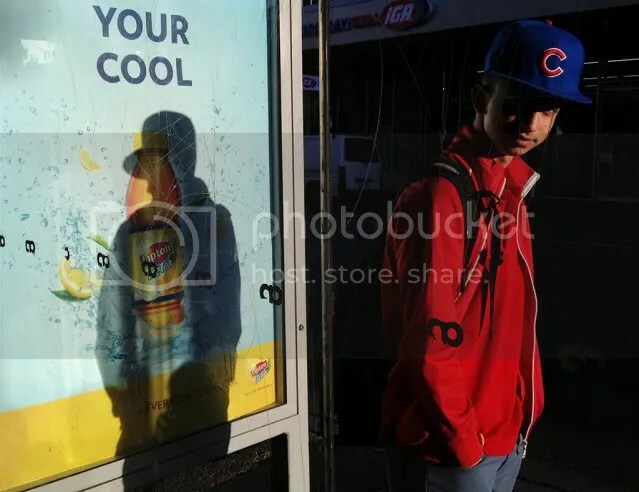 We turned to an age-old technique used by street photographers – zone focusing. Of course, the iPhone does not have any distance markings, so instead, Olly and I have had to go by feel rather than precision on distance. A few techniques we have developed include focusing on your outstretched hand – this gives you a pretty good minimum focus range around 80cm-1m. Olly Lang swears by using wall surfaces which are in line with his subjects to lock focus. I also sometimes focus on the pavement from chest height to give me a standard 1.5m distance from subjects. 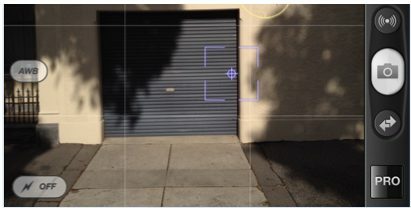 These techniques have markedly improved our focus accuracy when out shooting street. Use your hand to lock focus (blue square) when shooting up close (between 80cm and 1m). You can lock focus (blue square) on a surface near you, like this wall, to set your focus distance. Unlike film, where you can overexpose and bring back detail, digital and especially mobile jpegs are particularly unforgiving – once highlights are blown, they’re blown, leaving white holes in your images. Using the ProCamera manual exposure technique explained above, a few of the MPGers, especially those living in sunny environments, will expose for a bright part of the sky – ensuring that that highlights are held. The iPhone 4s has excellent dynamic range which provides a fair bit of leeway during post processing when bringing out shadow detail, especially when using professional editing apps like Filterstorm and Snapseed. Expose for a bright area of the sky to hold onto highlights. Here, I have placed the yellow exposure circle on the brightest part of the wall in order to hold the highlights. This is a simple one. I use the grid lines provided in the ProCamera App. 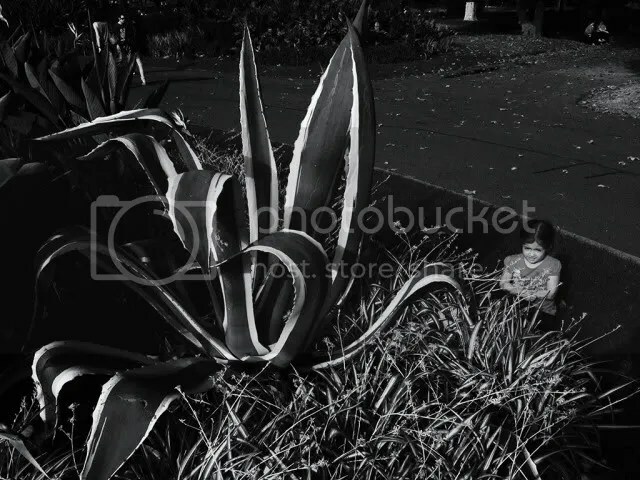 The app provides three choices of grid lines – I use the standard “rule of thirds” setting, as this helps me get things in the right spot instinctively while shooting. Olly, on the other hand, likes to keep his screen free of guides, so that he is open to experimentation in his shooting. Most camera replacement apps have image stabilisers. I use the Pro Camera stabiliser because it is accessible from the main screen (toggles with self-timer). The stabiliser is excellent in low light, helping to reduce user camera shake. Another tip for shooting at night is to expose for the highlights. I often lock exposure on a light bulb or bright window front and then continue to shoot the streets. 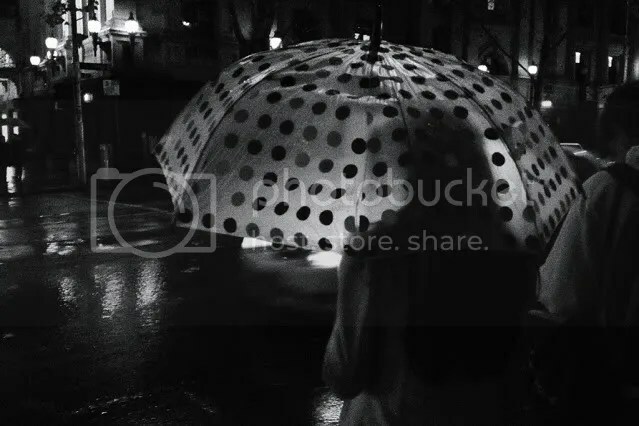 To be honest, it is near impossible to get dynamic street shots with an iPhone at night; however, if you are interested in set scenes, or still life, the iPhone 4s will take high quality, relatively clean images. One of the greatest advantages about shooting street with an iPhone is always being connected. This is hugely beneficial when approaching people or if confronted on the street. In both circumstances, I am open about my motives for shooting and often explain why I took the photo: “I liked the way the background worked with your coat”, or, “The light here is excellent”. I then offer to email the image to the person on the spot. This is a fantastic way to build trust, have a degree of reciprocity, and also showcase your online portfolio. The iPhone 4 is notoriously difficult to grip, particularly if you shoot one-handed. I recommend a soft rubber case for the phone. However there are plenty of alternatives to get a better handle on your phone, ranging from external grips with shutter buttons (e.g. the POPA and Photojojo grips) or even wrist straps, like the Danglet. I hope these tips have been helpful. If you have any other tips that you think I’ve missed or have any questions please share them in the comments below. 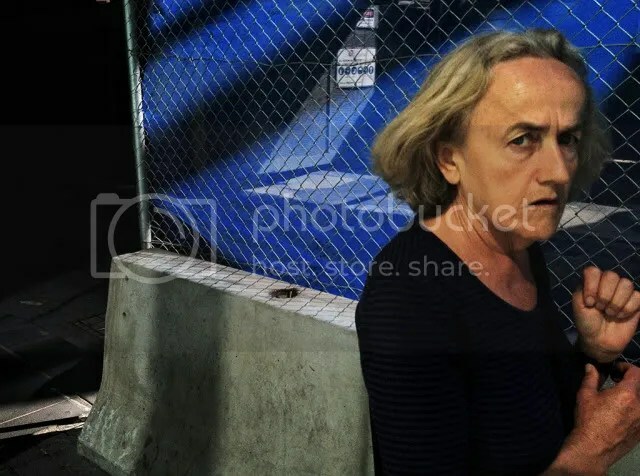 As one of the world’s leading mobile street photographers, Misho’s Baranovic’s photographs have been exhibited internationally in Oakland, New York, Berlin and Paola, Italy. Misho is one of the founding members of the Mobile Photo Group, an international collective of photographers dedicated to promoting their work and presenting mobile photography as an important and evolving art form. from MPG member Richard ‘Koci’ Hernandez (approx. 4min 15sec mark), by moving around the yellow circle you can change the exposure of your image. Share any tips or questions you may have about shooting street photography with an iPhone in the comments below!